The country’s largest two-wheeler maker Hero MotoCorp will acquire certain assets of Eric Buell Racing for USD 2.8 million as part of a settlement agreement with court-appointed receiver in the bankruptcy matter of the US-based company. 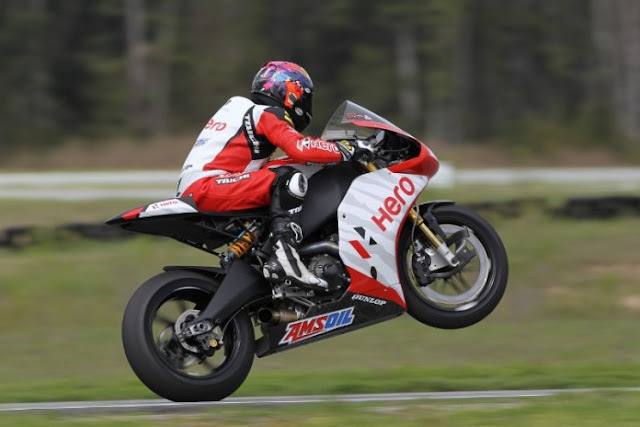 The settlement agreement was signed between HMCL (NA) Inc and HMCL Americas Inc – both entities of Hero MotoCorp Ltd (HMCL) – and the receiver appointed by the Circuit Court, Wisconsin, US, in the bankruptcy matter filed by Erik Buell Racing (EBR) and Erik Buell LLC, the company said in a filing to the BSE. “As part of the settlement, the HMCL Americas has agreed to acquire the ownership of certain tangible and intangible assets of EBR Entities, free and clear of all encumbrances, for a consideration of USD 2.8 million,” the company said. It, however, said the agreement is “contingent upon the approval by the Circuit Court and the approval of the board of directors of Hero MotoCorp authorising its joiner as a direct party to the settlement agreement on or before August 10, 2015”. Hero MotoCorp said the performance of the settlement agreement will help the company’s in-house research and development teams to accelerate development of certain consulting projects, including the projects EBR was executing for Hero MotoCorp, it added. Hero had acquired 49.2 per cent stake in EBR in 2013 for USD 25 million (about Rs 148 crore) and had plans to market its products in the US through the EBR network. Hero had made the acquisition as part of its strategy to enhance technological prowess, post the break-up of its joint venture with Honda. The company had earlier entered into a technology sourcing pact with EBR in 2012 to strengthen presence in the high-end bike segment. The move was part of the Pawan Munjal-led company’s overall strategy to have multiple technology sources for different segments and enhance its own R&D capability. Shares of Hero MotoCorp were trading at Rs 2,560 in morning trade, down 1.75 per cent from previous close on the BSE.